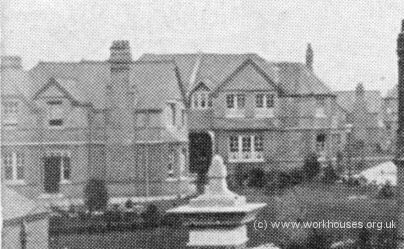 White Oak Hospital at Swanley in Kent was one of two institutions for the treatment of ophthalmia established by the Metropolitan Asylums Board, the other being the High Wood Hospital in Brentwood. The MAB had been set up in 1867 to administer care for certain categories of the sick poor in metropolitan London. Its remit gradually widened and, in 1897, it was given responsibility for the capital's poor law children who were suffering from contagious diseases of the eyes, skin and scalp. Prior to this time such children, who then amounted to around 2,000 in number, had mostly been boarded out at establishments run by private contractors. 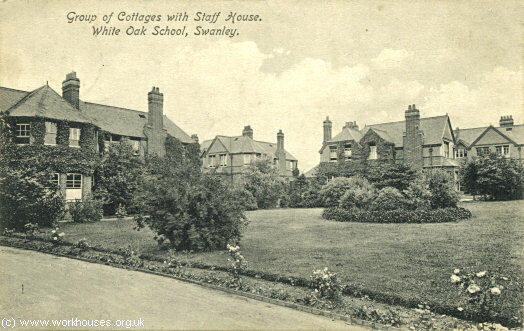 White Oak Hospital opened on May 23rd, 1903, on a 49-acre site at Swanley in Kent. The site had been purchased in December, 1897, at a cost of £5,050. 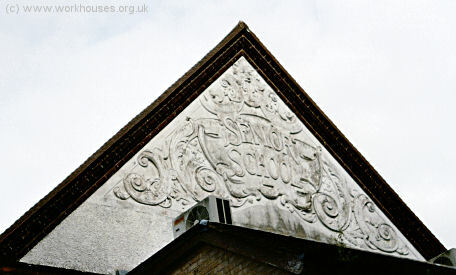 The architects were Messrs. Newman & Newman, of London, and a requirement of the scheme was that the buildings had to serve both as a school and a hospital, while not being too expensive in either capacity. The construction work was carried out by Mr. Charles Wall, of Chelsea, whose tender was accepted in February, 1901, at the sum of £112,324. White Oak Hospital site, 1909. 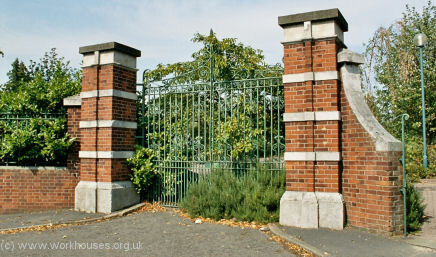 At the entrance on London Road lay the gate porter's lodge together with a receiving block, ophthalmoscopic room and laboratory. Thirty cottages for children were arranged in fifteen pairs, and then in five groups of three pairs. Each cottage accommodated twelve children and a house-mother. Each of the five groups had a small staff block, containing a room for the medical treatment of the seventy-two children in the group, and quarters for the charge nurse carrying out the treatment, a cook general, and a general servant. The bulk of the cooking for the group was also done in this block. White Oak group of cottages and staff house, c.1910. The central administration block contained quarters for the matron, assistant matron, domestic and laundry staff, extra nurses, storekeeper's office, general stores, and needle-room. 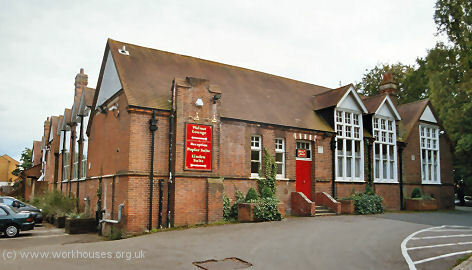 Other buildings include the junior school, the senior school (with special room for ophthalmic surgeon), the laundry, and four cottages for male staff. 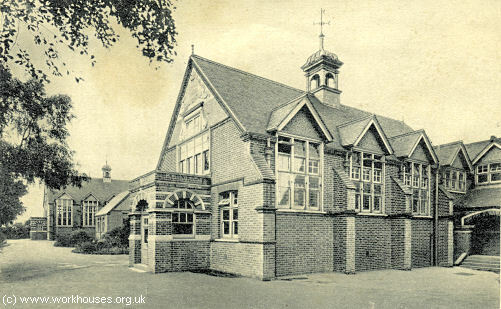 White Oak children's school building, c.1910. An infirmary, and an isolation cottage were located at the north of the site. 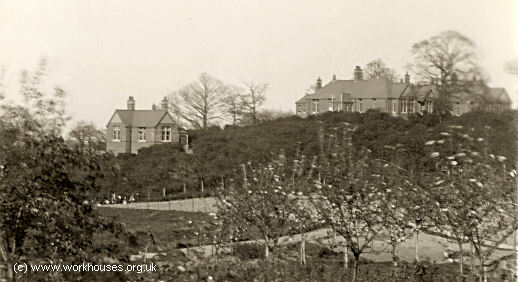 White Oak Hospital infirmary and isolation cottages from the south-west, c.1910. The hospital closed in about 1950. Most of the site is now occupied by commercial premises. 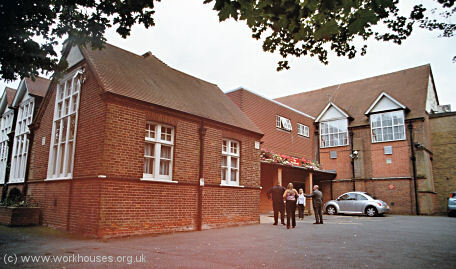 All that now remains of the hospital are the entrance gateway, and the senior school building which is now used as a function suite. 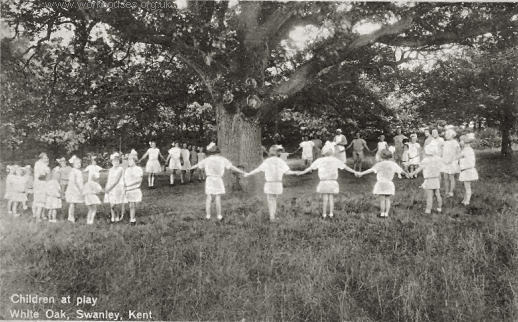 A flavour of life at the school in the 1930s comes from Ann Claydon, whose Aunt Kath — then aged nine — was a patient there some time in the 1930s after it had been taken over by the London County Council. Although the hospital was originally for poor children from London with eye problems, my aunt came from a comfortably well off family from Grays, Essex. She suffered from ulcers under the eyelids and had been referred there by Moorefield's in London. She remembers that they were given a number of medicines and emulsions, had to have a sleep in the afternoons and were seen every so often by a doctor. 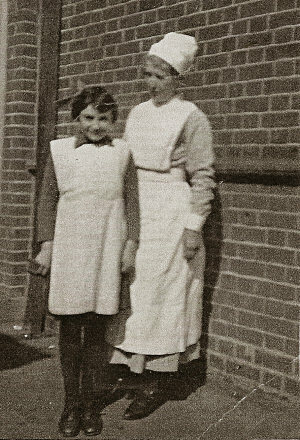 She recalls that bedtime was at 7pm, but because she was good at darning and mending she was allowed to stay up until 9pm occasionally with the nurses helping with the sewing. She recalls being terribly homesick. Siblings were not allowed to visit, parents only and she thinks only for 1 hour a week. However because she was not improving they gave permission for her younger brother to visit as she was missing him dreadfully. She was allowed to see him in the hospital office, but not allowed any contact with him, no hug or cuddle. As she still did not improve he was not allowed to visit again. She wrote to her father asking if he would come and take her home and eventually her parents did come for her. However the hospital was not happy about this and rather washed their hands of her.